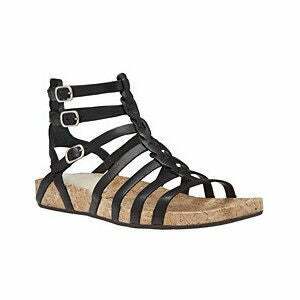 Wyatta gladiator sandals, $60. Available now at Aldoshoes.com. 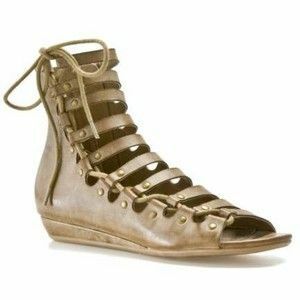 Cotton gladiator sandals by Suno, $335. Available now at Brownsfashion.com. 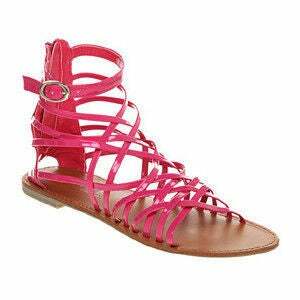 Coral gladiator sandal, $33. Available now at Modcloth.com. 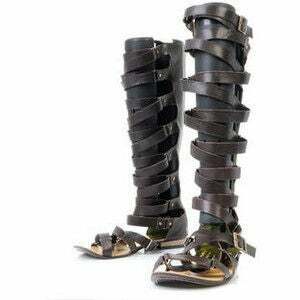 Tall leather gladiator sandals, $272. Available now at Yesstyle.com. 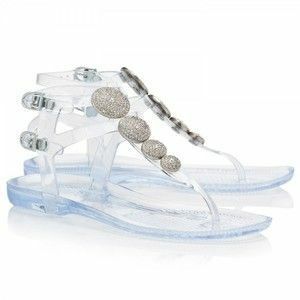 Jelly gladiator sandals by Juicy Couture, $150. 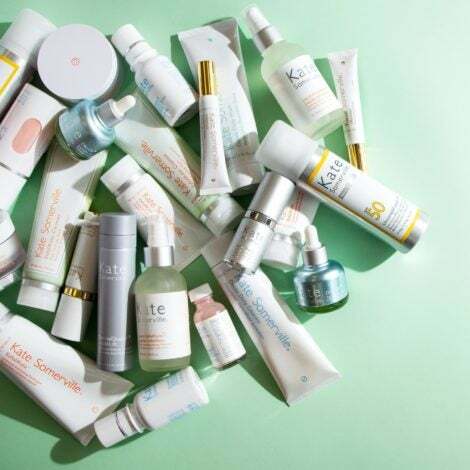 Available now at HarveyNichols.com. Vilma buckle ankle strap gladiators, $41. Available now at Oaknyc.com. Jelly gladiators by Burberry, $200. Available now at Couture.Zappos.com. 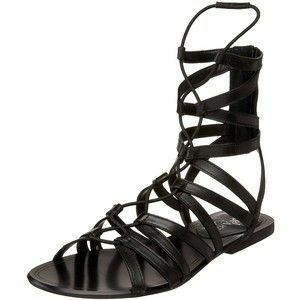 Patty gladiator sandals, $60. Available now at DSW.com. 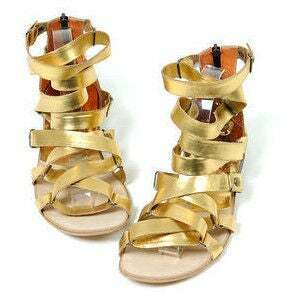 Gold gladiator sandals, $138. Available now at Yesstyle.com. 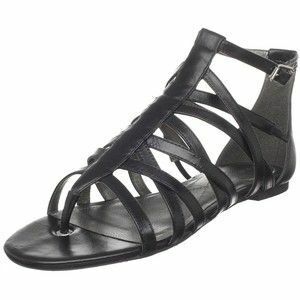 Valentine short gladiator sandal by Maria Sharapova by Cole Haan Women’s, $81. Available now at Endless.com. Pepita 2 by Kickers, $89. 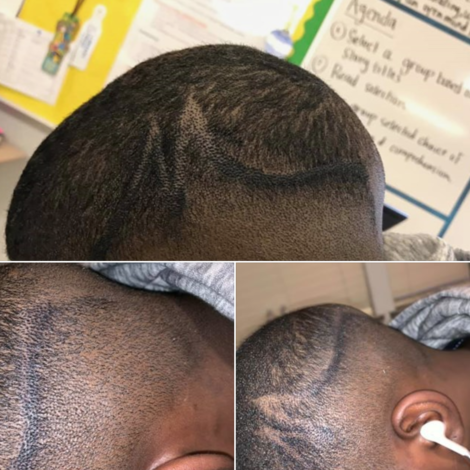 Available now at Zappos.com. 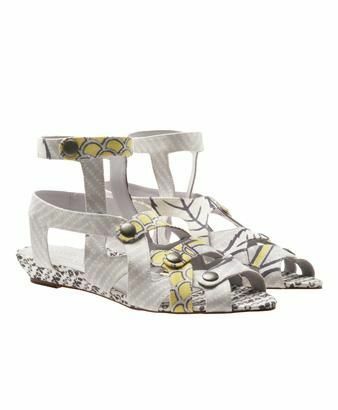 Mayla gladiator sandal with cork sole, $160. Available now at Office.co.uk. 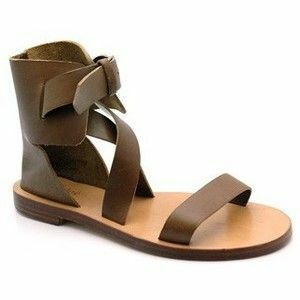 Canvas gladiator sandals by Giuseppe Zanotti, $268. Available now at Giuseppezanottidesign.com. 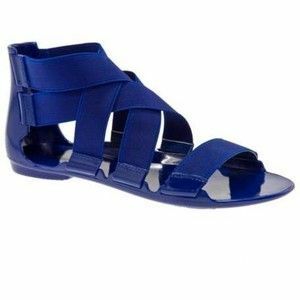 Gellin sandal gladiators by Zigi Soho, $20. Available now at DSW.com. The Ariel gladiator from MIA by Mia Ariel, $30. Available now at DSW.com. Nominate hot pink patent gladiators, $13. Available now at Office.co.uk. Matiko ‘Maddox’ gladiators, $150. Available now at Heels.com. 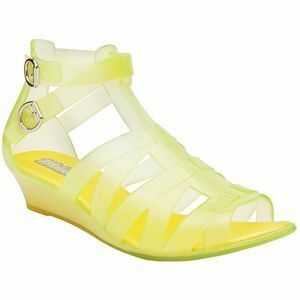 Yellow gladiator sandals by Melissa, $110. Available now at New.Amrag.com. 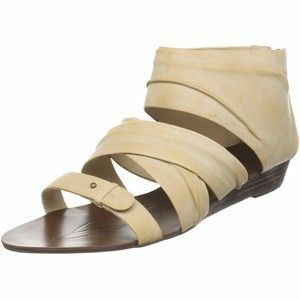 CH16291 tan gladiator sandals by Chloe, $322. Available now at Shirise.com. Lily gladiator sandal by CK Jeans, $59. Available now at Endless.com. Gladiator sandal by BB Soul, $50. Available now at DSW.com. 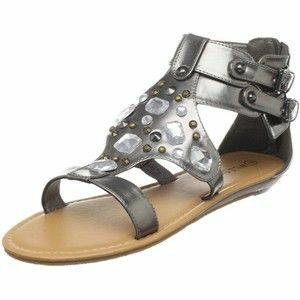 Myrah silver gladiator sandal by Wild Diva, $33. Available now at Endless.com. 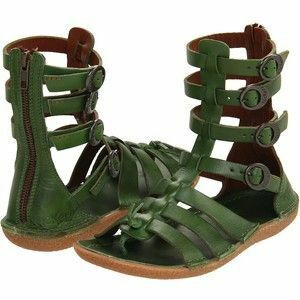 Btgilla gladiator sandals by Boutique 9, $99. Available now at Endless.com. 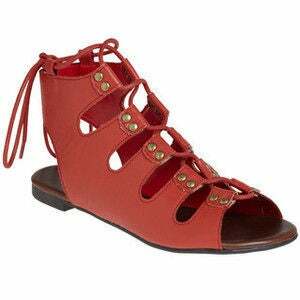 Red gladiator sandals by Earth Exquisite, $90. Available now at Piperlime.gap.com. 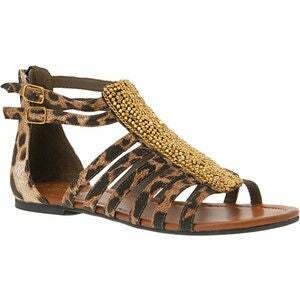 Gold studded gladiator sandals by Belle & Mimi, $32. Available now at Debenhams.com.